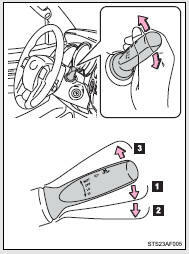 Wiper intervals can be adjusted for intermittent operation (when or is selected). Wipers will automatically operate a couple of times after the washer squirts. The engine switch must be in the ON position. 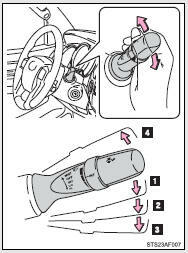 Check that the washer nozzles are not blocked and if there is washer fluid in the windshield washer fluid reservoir.